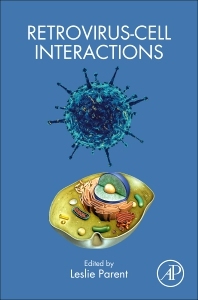 Retrovirus-Cell Interactions provides an up-to-date review of the interactions between retroviruses and the cells they infect, offering a comprehensive understanding of how retroviruses hijack cellular factors to facilitate virus replication. Drugs targeting viral enzymes have been developed to treat HIV; the next challenge is to inhibit virus-cell interactions as next generation treatment strategies. Organized according to the retrovirus' replication cycle, this book does not focus exclusively on HIV, but rather includes important findings in other retroviral systems, including animal retroviruses, retrotransposons, and endogenous retroelements to allow broad comparisons on important commonalities and differences. 3. Nucleoporins in Retroviral Replication: What’s Nup Got to Do with It?